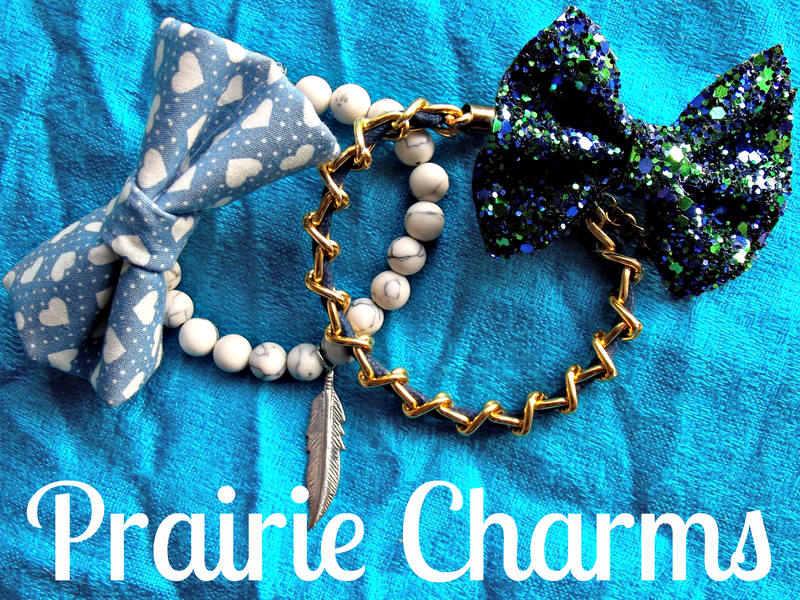 I am so excited to be part of #ProjectBlogger for Prairie Charms. Their website is absolutely gorgeous and they have some truly lovely items. In fact they're just updating for autumn as this is posted! So sadly not all the items in this haul are still available but I can guarantee they'll have equally gorgeous items ready for the autumn! Being par of project blogger gave a staggering 50% discount on all of the products mentioned in the haul. This was so they could still donate a sum of the profits to the GOSH charity that they support. Something I thought was incredibly thoughtful of them to do. It took me about an hour to decide on the items I wanted - if I'd had had the money I would have quite literally ordered the site. After they were ordered I couldn't wait for them to arrive and would actually sit with a cuppa tea and wait for the post man hoping that today would be the day they would fall through my letterbox. Since then I have worn them a lot. I am really shocked just how much I love them and how versatile they are with my wardrobe. This beautiful Sadia Bracelet was the first things that caught my eye. I just loved it's simplicity and it's 'back to nature' vibe. 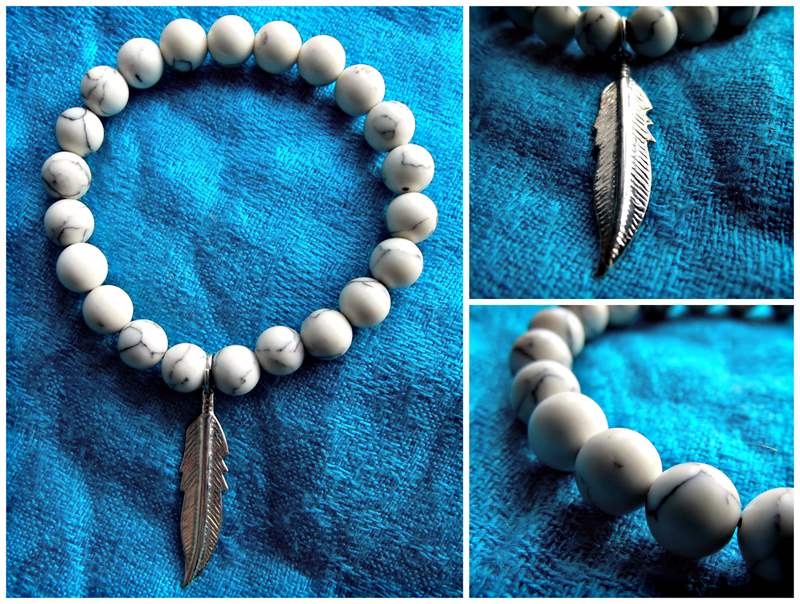 I always wear my silver ring and bracelet so this fitted the bill for the perfect stack style bracelet for my wrist. I love that you can mix this up and match it with a cropped light wash denim jacket and floral dress for then summer or grunge it up with a tartan shirt, high waited shorts and boots for the autumn. This is an item I wouldn't normally have chosen but I am really trying to get out of my comfort zone when it comes to clothing and jewellery. 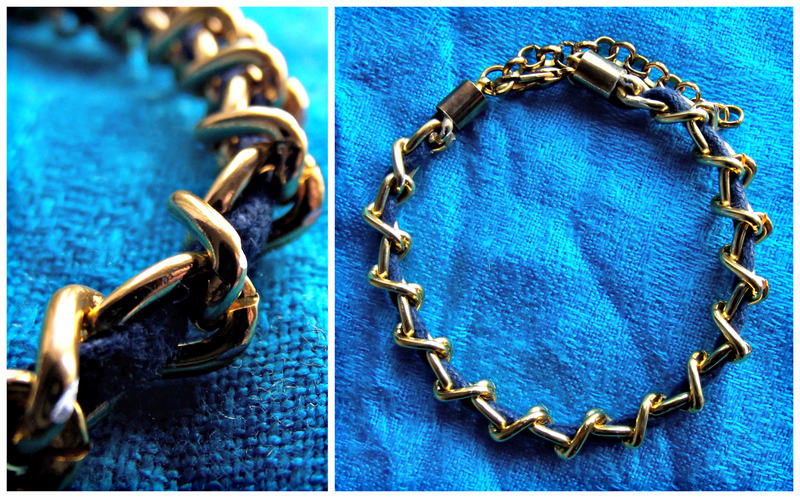 I really love the contrast between the gold and the waxed navy cotton, it actually remind me of my navy blue studded handbag. It looks great on my wrist and is one of the few bracelets that actually fits my dainty wrist well on it's shortest setting. These were just too cute to resist! 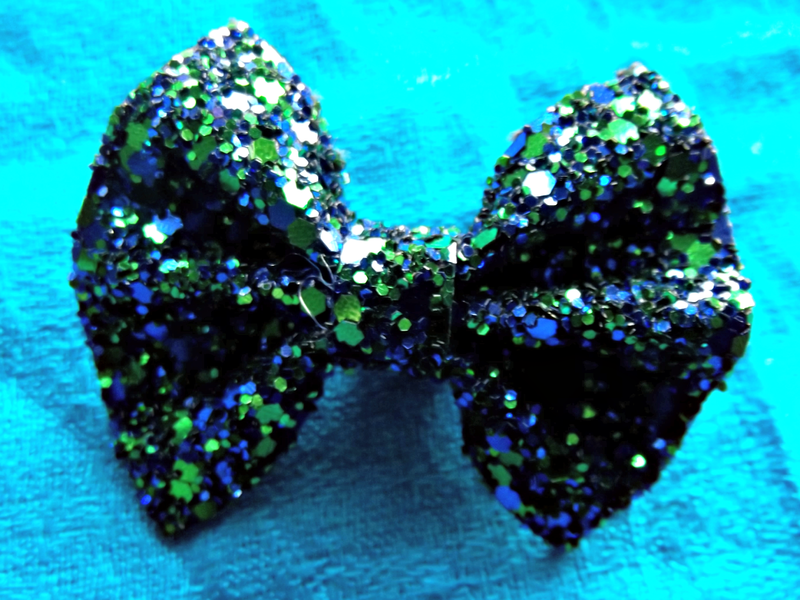 Lately I have been loving hair bows and have quite a collection. 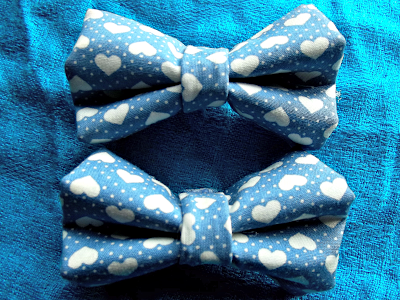 I think these are simply adorable to wear on top of a high pony tail during the summer time. They come with a clip on the back so they are really secure on your hair and once they're in don't budge. Sadly though when mine arrived the glue hasn't held the clip and the bow together so I had to crack out my glue gun and get busy with the fixing! I also received a surprise free gift of a gorgeous glittery bow, as my order was over £10. This actually turned out to be one of my favortie items. 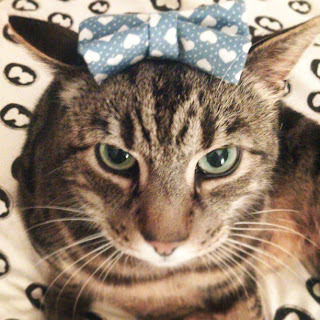 Although my cat was nowhere near as impressed as I was.